On The Beach by Nevil Shute was first published in 1957 and probably you’ve all read it already, but I hadn’t even seen the film (two have been made) and I had no idea what it was about. Of course it’s about the end of the world – as we know it, and that came as a bit of a shock to me, in fact I wasn’t sure if I wanted to continue reading it, but I bashed on anyway and although it’s well written as you would expect of something written by Shute, I did find it a bit of a downer, especially given all the sabre-rattling that’s going on in the world today – and in every direction I look there seem to be unstable leaders. The story is of course based in Australia where Shute moved to from England. It’s set mainly in and around Melbourne, there’s been a short but catastrophic war culminating in nuclear weapons being used and particularly a cobalt bomb which was designed to cause the maximum nuclear fallout over a large area. At the beginning of the book most of the inhabitants of Earth are already dead from radiation sickness and the residents of Australia are waiting on the contaminated air to reach them. Everything is running out, people are using horse-power again as there is very little petrol for cars, but most people haven’t really come to terms with the fact that they only have months to live, people are in denial and still make plans for the future. I liked most of the characters and their actions seemed to me to be believable. On a personal note, I was still at primary school and it was the height of the Cold War when I realised that in the event of a nuclear war the area that I lived in would be first in line for a nuclear strike as I lived close to the nuclear submarine base on the west coast of Scotland, in fact my dad worked there. 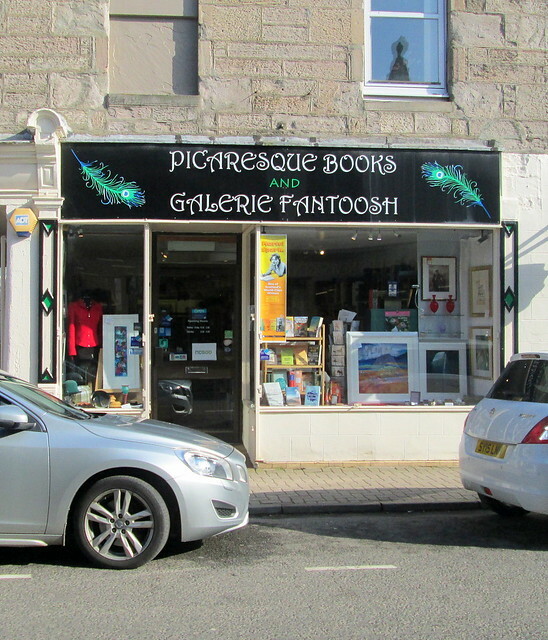 It didn’t worry me for long though as I thought that it would be an advantage to ‘go’ in a flash so to speak. On The Beach just made me think that I was absolutely right about that. I read this one for the Back to the Classics Challenge 2017. 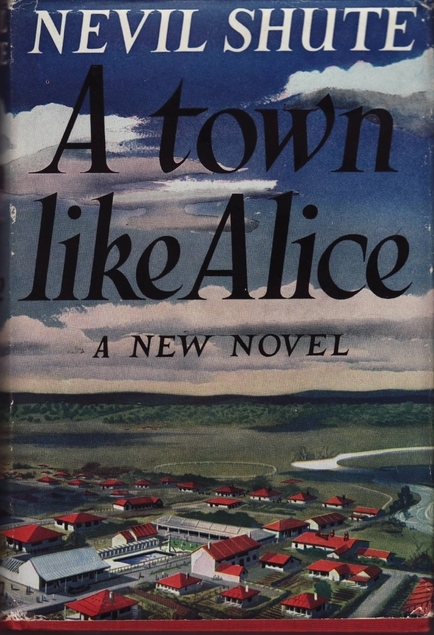 A Town Like Alice by Nevil Shute was first published in 1950 and I don’t remember ever not knowing about it, such is its fame, but I hadn’t ever really been drawn to actually read it until Lisa @ TBR 313 mentioned it was her favourite. 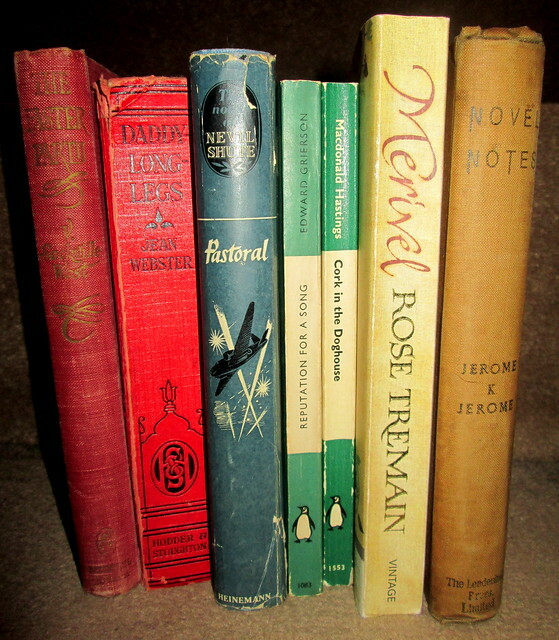 Even then, when I flicked through the old 1956 hardback copy that I managed to buy at a second-hand book-shop, I had misgivings when I saw the Japanese names. Possibly that was why I had avoided it, having had a few chaps in my extended family who had been prisoners of the Japanese during the war. Anyway, it turned out to be a page-turner that I thoroughly enjoyed. Jean Paget had gone out to Malaya to work before the outbreak of war, she had had family links with the country and was able to speak the language. When the Japanese army so unexpectedly swept the country she had ended up being a prisoner along with the wives and children of the men who had worked out there. The men were all taken prisoner and taken off to build the infamous Burma railway. Meanwhile the women and children weren’t wanted by anyone, they were shoved from pillar to post having to walk hundreds of miles in search of a women’s prison that didn’t exist, with many of them dying of exhaustion. Jean’s strength of character is a life-saver for them all and when she gets back to Blighty after the war she settles down to a boring and lonely life as a shorthand typist, until she gets word that she has been left a fortune by an elderly uncle. Jean is the only survivor from her family and the lawyer appointed as a trustee of her inheritance befriends her, he helps her achieve her ambition of digging a well for the women of the village where she had lived and worked during the war. When Jean discovers that an Australian soldier she had assumed had died had actually survived she sets out to find him and so begins a romance that leads to her settling in Australia’s outback and developing bit by bit a community and better way of life for the people of that remote area. 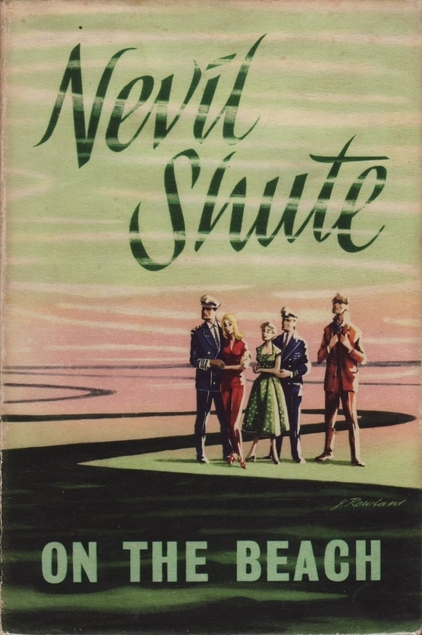 Nevil Shute was obviously very enamoured of the Australian landscape and the people who scraped a living on farms in the searing heat with practically nothing in the way of comforts. Although the way the aboriginals are portrayed is a bit uncomfortable, I’m sure he was writing an accurate picture of their life. I think perhaps things are in some ways even worse for the aboriginals nowadays. A Town Like Alice is a great read though and I’ll probably give it five stars on Goodreads. 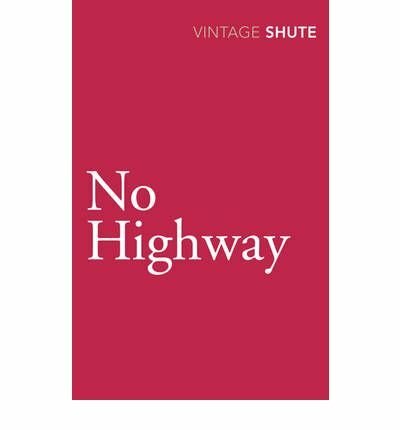 No Highway by Nevil Shute was first published in 1948. Shute was of course an aeronautical engineer and pilot and he worked in that industry at the same time as he was writing his earlier books. In No Highway Shute has plundered his experiences of working within the aviation industry. The tale is told by Dr Scott, the head of the Structural Department at the Royal Aircraft Establishment at Farnborough. Theo Honey is one of the employees he is in charge of, Honey is a strange character as far as everyone else is concerned, he has weird ideas about religion and being able to gain information through using a planchette. Honey’s wife was killed when their home was bombed during the war and he has been left to bring up their young daughter on his own. Honey is completely obsessed by his research on stress and metal fatigue in aircraft and he thinks he has discovered that the newest trans-Atlantic Reindeer aircraft is likely to suffer catastrophic damage involving the tail falling off after they have flown around 1400 hours. Nobody wants to believe his research outcomes and his weird interests are used against him, to paint him as someone not to be taken seriously. One Reindeer aircraft has already crashed into a mountain but as usual the crash has been blamed on pilot error. Honey and Scott believe that if they don’t stop the other Reindeers from flying then more people will die in crashes. Honey is sent off to Canada to look for evidence of metal fatigue on the crashed aircraft, and ends up taking desperate action to stop the plane he is on from flying on when it stops to refuel. This is a good read, at times quite gripping and also involves quite a lot of romance as Honey is one of those men who are obviously in need of the love and care of a good woman to nurture and protect him. He brings out their mothering instincts, much to the amazement of the more worldly men around him. . 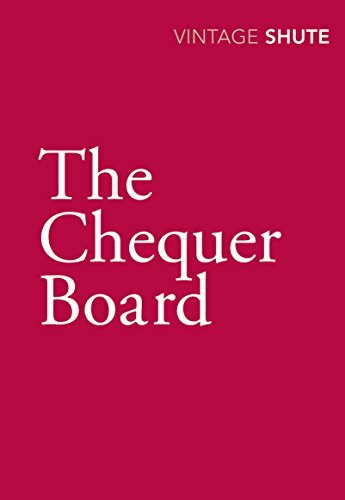 The Chequer Board by Nevil Shute was first published in 1947 and it was my friend and one time neighbour Christine who pointed me in its direction, and I’m glad she did as it was a really good and interesting read. John Turner, a flour salesman has been having health problems for a while, he had been badly wounded during the war and it was thought that he wouldn’t survive his wounds. He does get better but the fragments of shrapnel still lodged in his brain years later have started to give him problems, the upshot being that he is given around one year to live. John married just before the war but over the years he and his wife have grown apart, his prognosis brings them together again and when John decides to track down the men he feels had given him the will to live again when he was in hospital, his wife helps him track them down. It was a very disparate bunch of chaps who talked to John when he was unable to move and having to lie flat in a hospital bed. One was a very snobby RAF pilot, another was a young black GI who had been based in Cornwall, and a young corporal charged with murder. Their stories and experiences have been in John’s mind since the war. He feels they saved his life and before he dies he wants to know what has happened to them over the years. I think the most interesting story is the one about the experiences of black GIs in Cornwall. The black soldiers were given the task of setting up camp before the white GIs turned up in Cornwall and the black men caused quite a sensation in the small town, making themselves very popular as they were very obliging, helping people to fix things that had been left neglected and broken due to the fact that most of the local men were off at war. Everything changes though when the white GIs turn up and take exception to having to share the local pub with ‘niggers’. The US high heid yins decide that the pub will be off limits to the black GIs but the pub owner objects to that and bans the white US soldiers. According to this book there had already been trouble in two other English towns where there had actually been shoot-outs between black and white US soldiers. This is the first book I’ve read by Nevil Shute and I’ll definitely be reading more.